The New York Times opened up its vast archive some time ago with the launch of TimesMachine, an open archive where readers can browse old issues from 129 years of the paper’s history. But the TimesMachine lacks one ability and that is to search old advertisements, since these have not been scanned and identified. 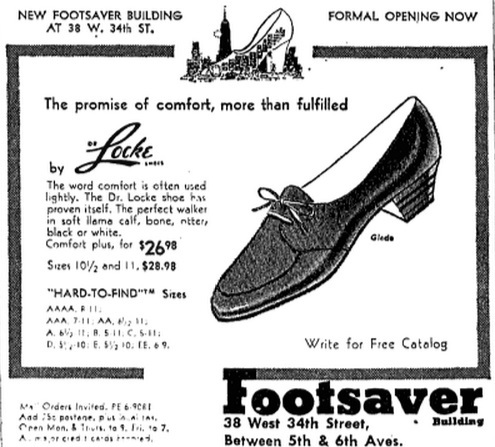 In other words, it is nearly impossible to find old ads without browsing manually through old issues. To solve this, the paper now launches Madison, an online tool where readers are invited to help out by finding, tagging and transcribing ads. “We have 163 years of what is often referred to as the first draft of history, and I think one of the areas we’re interested in is finding new ways to bring that archive to life,” said Alexis Lloyd, creative director for the R&D Lab. Twitter made a successful debut on NYSE a few days ago and as a listed company there will surely be an increased attention to revenues in the months ahead. Revenues that will come from for example promoted accounts, trends and tweets. So prepare to see more sponsored tweets in your Twitter feed from now on. We can already see more examples of businesses that are experimenting with advertising on Twitter. One key factor in the future success of Twitter is its ability to gather enough relevant data about its users so that advertisers can target their key audiences properly. If you advertise on Facebook you are able to select targets based on age, geography, interest and so forth in quite som detail. At the moment, either Twitter isn’t able to provide this data to its advertisers, or the advertisers are ignoring it. More often than not, ads on Twitter will look like the one below. This promoted tweet was visible in my feed two days ago. For Twitter to be able to increase revenues from sponsored tweets, it is vital that the ones we are exposed to are as relevant as possible. I blogged recently on my Swedish blog about the nasty and angry responses to one promoted tweet on the Swedish market by Scandinavian Airlines, SAS. Users have been spoiled since they have been able to use Twitter for free for so long and any change towards more ads is seen as a deterioration. The tweet pictured above is totally irrelevant to me for two reasons. First of all the timing. Why advertise a Halloween tweet more than two weeks after Halloween? Second, why is this ad in my feed at all? I am from Sweden and I have noted both my country of origin and language (Swedish) in my Twitter settings. Sure Becker is an international company but they have no representation in Sweden. The chance that this message is relevant to me is next to zero. That’s just one of many similar examples from the last week or so. Here are two more. 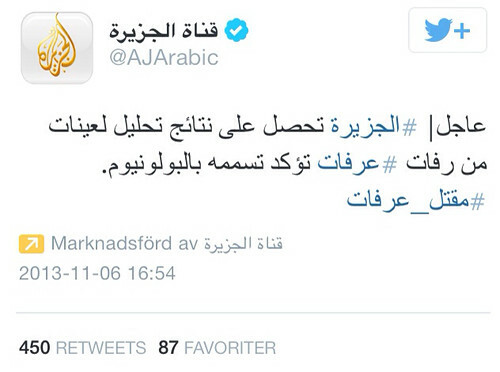 The first is a post by Al Jazeera and I can’t even read the letters. The second is a tweet from @ANGAus. 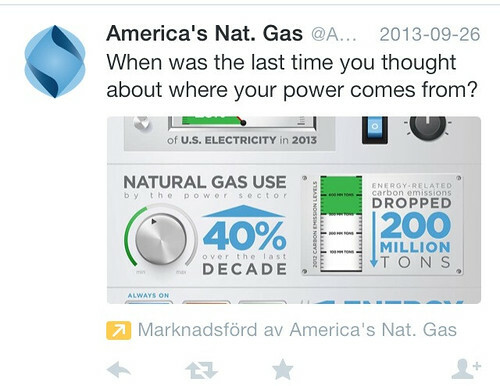 Obviously, I will never be a customer to America’s Natural Gas Alliance. So why am I exposed to these irrelevant ads? I can think of a number of reasons, some mentioned above. However, I think it comes down to this sentence on the business section on Twitter regarding pricing for promoted tweets. This basically means that an advertiser never pays extra for having its tweets posted in the feeds of people who would never be interested in its message. The advertiser only pays for interactions and if users are exposed to an irrelevant ad they just ignore it. The only part that loses is the user who is bothered with ads that make absolutely no sense. As I understand, advertising on Twitter is limited to a number of markets. So hopefully when more markets open up, targeting of ads will become better and Swedes will get ads from local businesses instead. Because ads on Twitter are here to stay, might as well make them as relevant as possible. Italian pasta brand Barilla found itself in the middle of a crisis yesterday, caused by a quote from its chairman Guido Barilla. In a radio interview, Mr Barilla said that the company would not include gay people in its advertising. After threats that customers would start a boycott against the brand, the company issued an official apology. As often happens in cases like these, customers tend to make fun of the brand, posting things such as fake ads on social networks and generally trying to humiliate the brand. These online comments often go viral. This time, one popular item is the following comment from one of Barilla’s competitors, Pasta Garofalo. But while making fun of a competitor in a crisis may give you a few laughs and some instant publicity, it’s a risky business. Creating an atmosphere where it is ok to stab competitors in the back may in the long run result in damage to both brands. 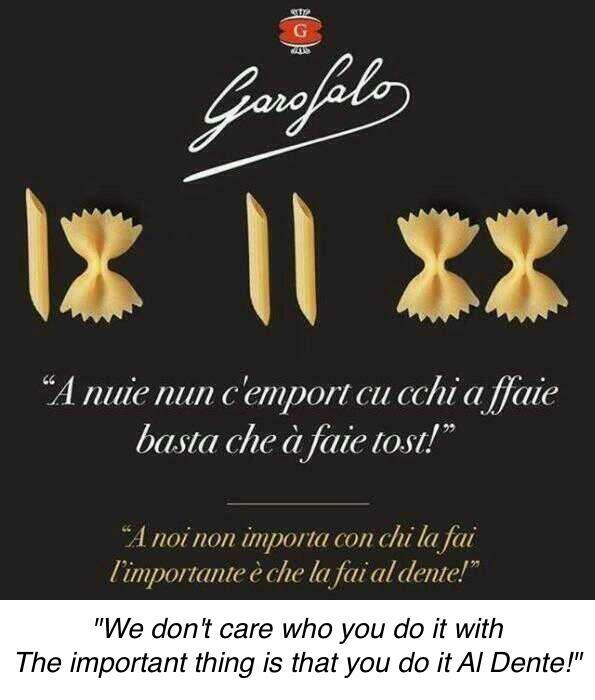 And the good people at Garofalo know this, that’s why they never posted the image above. It’s a spoof and have been created by someone else, pretending it’s an official comment from the brand. The company quickly posted a comment on its Facebook page to set things straight. The comments says that the ad is not theirs, they have not been involved and they do not approve of it. I think it was wise of them to act and to distance themselves from the ad. And as always, if in doubt if something is fake or not, try check the source. A new marketing campaign from Ikea in Australia pays tribute to Mel Gibson’s film Braveheart. The tv commercial labelled “Have A Gö” has the pay-off “Fight boring”. News sites or ad sites? It is well known that newspapers have a hard time charging for online content. So advertising is of course a vital part of the business model for the web sites of traditional newspapers. But the question is if ads are taking over the entire sites of the dailies? See below the screen shots of four of the leading Nordic dailies: Dagens Naeringsliv (Norway), Jyllandsposten (Denmark), Berlingske Tidene (Denmark) and Aftonbladet (Sweden). You can hardly determine what the breaking news are by looking at the screen, without scrolling. Updated: The explanation can be found in this graphic of the state of online “journalism”. 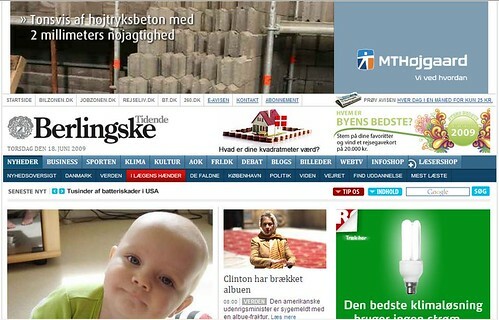 Update 2: Kenneth Lay Milling follows up and looks at several other Danish news sites and concludes that in general 80-90 percent of the screen is covered by ads. 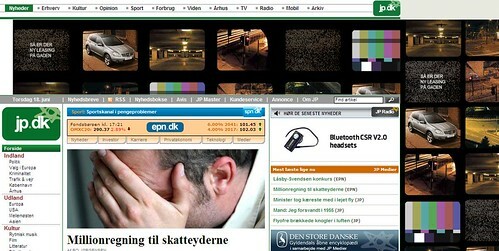 Tags: news, advertising, reklam, media, dagstidningar, annonser. Ping. RSS is one of the cornerstones in the social media revolution. Through RSS, content of all kinds is distributed across the web and we are still only using a fraction of the possibilities RSS brings us. So when Media Culpa got the chance to interview Bill Flitter, CEO of Pheedo on advertising in RSS feeds, I naturally seized the opportunity. And in the spirit of distributed journalism, I crowdsourced the questions to my Jaiku friends who added their thoughts in this thread. Here are some great insights that came out of the email interview. Media Culpa asks: Ads in general are more and more considered a form of interruption marketing. How are readers responding to ads in RSS feeds? Bill Flitter: Most ads are considered an interruption because they go against the grain of the media that they are in. What is supposed to happen is the ads are supposed to grab our attention because they blink, flash, animate. They sit over on the fringes of website and we become blind to them. 60% of ads go unnoticed because they are badly positioned on a web page. Ad is considered an ad when it something you are not interested in. An ad magically transforms into something useful when it is relevant to me and instead of being an ad it becomes content. Pheedo is working on a concept specific to distributed media called Brandstreaming. Creating a dialogue is the way to monetize social media, getting your branded content into the conversation with permission – this is the concept of Brandstreaming. Marketers cannot expect users to come to them any longer. In Web 1.0 we built micro-sites and expect everyone to come to us. The distributed Web is the new micro-site where the sum of all of the (distributed) parts is greater than the micro-site. We need to go to our customers with a consistent brand message on their terms and they need to Invite you in and join their conversation. MC: Being in a social media environment, how should advertisers create RSS ads that encourage conversation, not just “sell a product”? BF: I always tell our advertiser customer in social media you must tell not sell. An marketer must create compelling content to encourage engagement with their customers and prospects. Their ads must form to the media that they are in. 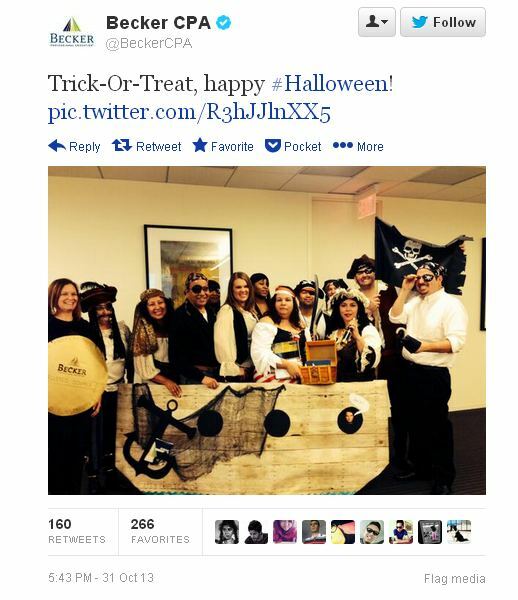 Marketers need a content plan to be successful in social media. Ads need to take on characteristics of the medium. For example, add sharing or even commenting functionality to the ad. MC: For most bloggers, publishing RSS ads never results in a payment. What’s in it for bloggers further down the long tail? BF: Today, CPM and CPC is the most widely used and accepted pricing model by advertisers and their ad agencies. Without scale, these pricing models do not net a blogger much revenue. If you are writing a blog on a specific niche, your chances increase to secure a sponsor IF you know exactly who your blog audience is. Firms like Federated Media and BlogAds understand this and are getting closer to cracking the nut. What is a blogger to do? Find out exactly who your readers are and find an angle that you can sell. You have to sell who reads your blog because you are not going to impress many advertisers with how many read your blog – generally speaking. MC: In Sweden we see that younger women dominate the blogosphere, but they don’t use RSS readers (58.7% of male bloggers do, compared to 17.8% of female bloggers according to the BlogSweden 3 survey). Do you see this trend in the US and if so, how can blog advertising reach women if they don’t use RSS, apart from banner ads? BF: RSS readers in the US are mainly males (70%/30%). This will change over time. We have done very successful campaigns reaching women RSS readers. The same principle apply. 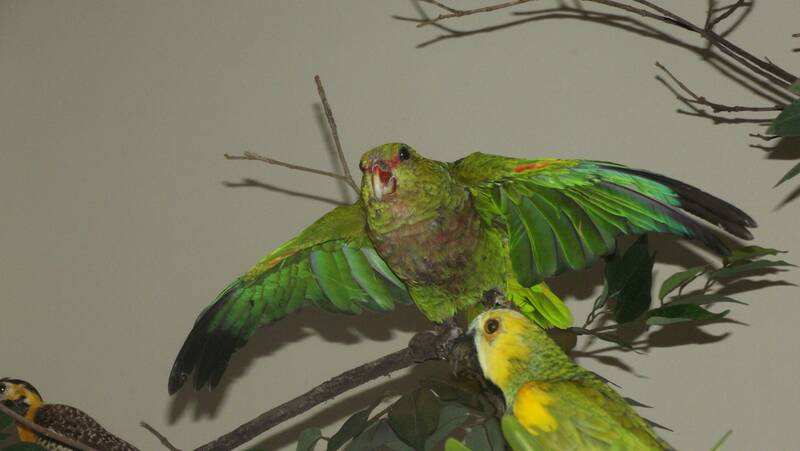 Find out where they are congregating. For example, Dooce and The Food Section of a high concentration of women. Deeped asks: Your five best tips for RSS advertising (for advertisers and/or publishers). creation is key. RSS users are active! 4. Be in it for the long haul. Need to stop thinking about “campaigns” that have a shelf life. Digital dialogue never dies unlike a print piece that fossilizes. 5. It’s about the people not the pages. Cannot expect consumers to come to you. Need to go to them with a consistent brand message on their terms. MattiasSwenson asks: What is your opinion on RSS readers such as the Swedish Bloggkoll.se which does not show full feeds and no ads. BF: Question is, what type of RSS readers do users prefer? Do users want full-content? In a distributed media world, we need to be aware of all reader display types and how to monetize content for publishers. Unlike websites where we have standard sizes, out of distributed media will grow new standard sizes. Agaton asks: On innovation in RSS advertising – where is it? What happens in that area? Where are the new ad formats that actually work? BF: Right now, most RSS feeds have no social components. I see a feature where RSS feeds become more social and a social network onto themselves. This means the advertisements will need to be more social. Secondly, ROI measurement is evolving for both publishers and advertisers. Once there are an accepting/standard metrics, publishers and advertisers will see the value – which by the way is very soon. Agaton asks: Why should you advertise in RSS feeds? Any concrete arguments like higher conversion rate, lower cpm or such? Or is the only real argument that it is an advertising channel on the rise that has been untapped so far. BF: Content has left the site. Some of our advertisers tell us they know 30%+ of their customers are NOT going to websites. For many of the large media sites, their RSS traffic is exceeding or will exceed their website traffic by the end of the year. For some this is a reality they are not prepared for. Where the users are the advertising will follow. In 2009 we will see the attention on distributed media explode. We will put our focus on optimizing our content in distributed media as we did for search. Agaton asks: Is blog advertising still an immature market? 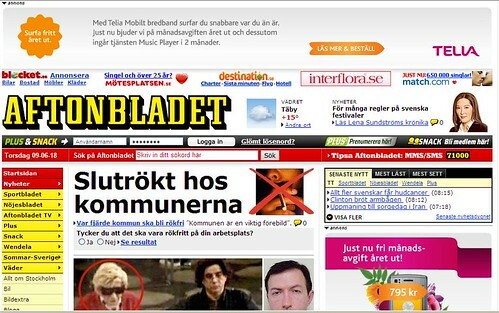 BF: There was a lot of attention on blog advertising in 2006/07. What most dvertisers were doing is putting ads on blogs. How is that different than putting on ad on a traditional website? It was not. It lost some sizzle. ROI is ROI no matter where the ad is placed. However, a few smart marketers are figuring out how to leverage the true power of blogs – again, I point to Federated Media or BlogAds. There accomplishments will advance blog advertising and make it a necessity of every media buy. It is one spoke in a campaign. Depeed asks: What is your opinion on the possibility to create automated contextual ads for individual blog posts? Do they already exist? BF: A few companies are experimenting with this – Kontera and BuzzLogic. Results are to be determined. It comes down to relevancy. For a blogger to make money at this, they need a decent amount of traffic which is relative to each blogger. Newsdesk asks: Are contextual ads based on content in one blog post, in several posts or are there other factors at play? BF: Could be at the individual post level or the entire blog. If you are have a niche blog that only talks about iPhones for example, you most likely will see more revenue vs. a blog where the content is all over the place. Bison asks: What do we have to do to missionize the possibilities with RSS? Why has RSS not reached high penetration in broader audiences? BF: Today, we are in the third phase of RSS. Phase One 2005/06 Publishers asked, “Should I put RSS on my site?” Clearly the answer is yes. Phase Two 2006/07 Publishers asked, “How much traffic do I have and how are subscribers interacting with it?” Feedburner did a great job of addressing this market. Phase Three 2007/08, Publishers are now saying, “Wow, I have a lot of traffic, how do I monetize it.” Pheedo is addressing this today. Give feed monetizing time evolve. It has to happen for no other reason than the sheer amount of traffic feeds are generating. oahnve asks: If we assume that RSS will reach an audience outside the early adopters, what will be the killer app for RSS and when will we see it? BF: According to Forrester, 43% of internet users are ACTIVELY using RSS if they know it or not. This is up from 6% in 2005. That is tremendous growth. Why the growth? We live in a World where the consumer rules. They want their content where, when and how they want. The tools are getting easier to use, from Google Reader to Widgets to Facebook, the idea of consuming “news feeds” is becoming ubiquitous. Facebook has helped mature the idea with their news feed concept. 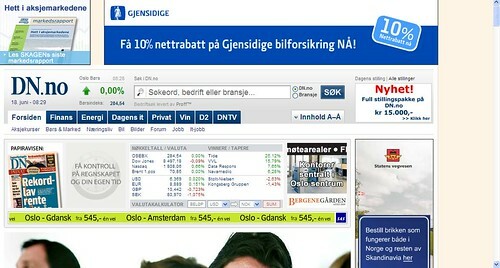 Tags: rss advertising, pheedo, rss, rss, reklam, annonser. Ping.